SALÚTE – meaning “Good Health” in Italian – comes as our best wish to you, for all the good things olive oil has to offer. Harvested and milled to the same exacting standards as the world-renowned Mistral and Sierra oils, SALÚTE is our all-around cooking oil, perfect even for deep frying. 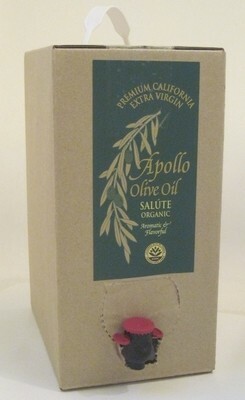 Available only here on our website, in two sizes, this oil adds real extra virgin benefits to any meal.